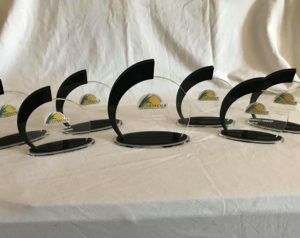 Bannerxpert is the leading supplier of Glass and Crystal Awards, Certificate Frames and Prints and Corporate Event Gifts Supplier in Durban. We supply quality glass and crystal awards, that comes in a presentation box. 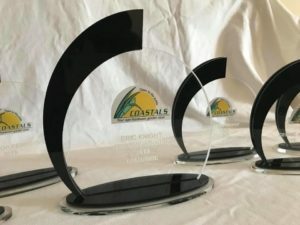 These awards can be branded either by laser engrave or with a full colour print. We can supply any quantity; our lead times vary depending on the products. Generally on awards and trophies we have in stock, unbranded we can supply within 2 days. 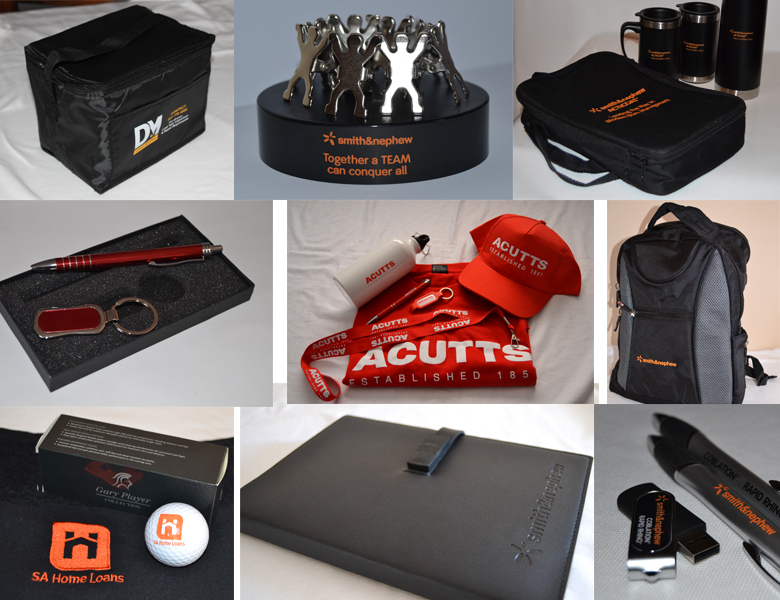 Branded stock awards and trophies between 4-7 working days. We are based in Durban. Courier is an additional charge. We can courier throughout South Africa. Not your average award. Custom and uniquely designed. Get in touch with us for a consult. We also supply certificate frames. Sizes vary depending on what the client requires. We do the Block Mounting Framing, Budget and Custom Framing, Certificate Framing, Canvas Stretching and Corporate Picture Framing. Please send through all logos that are to appear on the certificate as well as a basic idea of the layout and we will send a quote. A4 and A3 certificates are the most common size but we design custom sizes as well. Custom Finishes, we can do foiling, debossing, embossing on the certificates. Minimum orders of 50units applies. Certificate Printing, on the shorter runs we will print this digitally. On the larger orders we will do a Litho Print. Certificates that require signatures or individual names on, we can add this to the artwork before printing. Certificates are printed on 240gsm Eltoro Board. We can supply exclusive and midrange gifts for long service awards. From parker pens to decanters and so on. 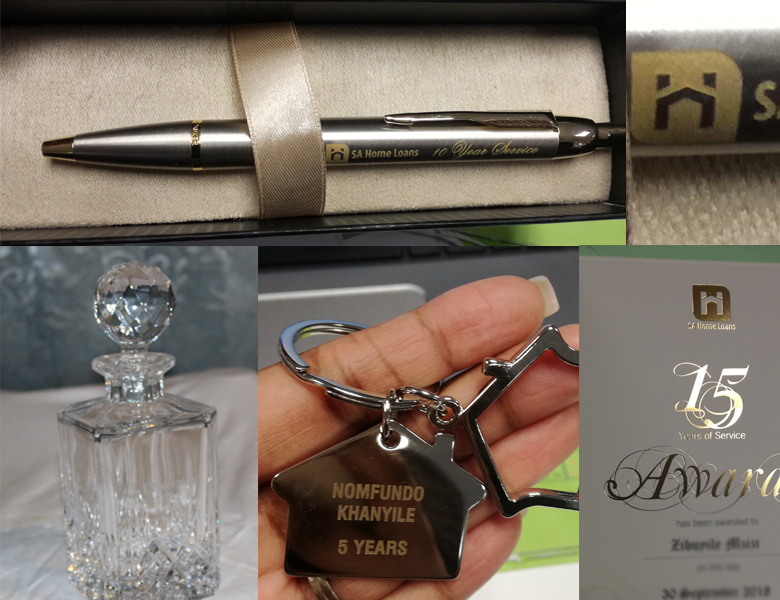 We can personalise these gifts with branding. mugs and photo frames are some of the firm favorites. We can manufacture just about anything in leather and leatherette finishes. Popular items for sales conference and awards ceremony are the holster that houses the tequila bottles and branded tot glasses. Minimum order of 100 units applies on custom orders. 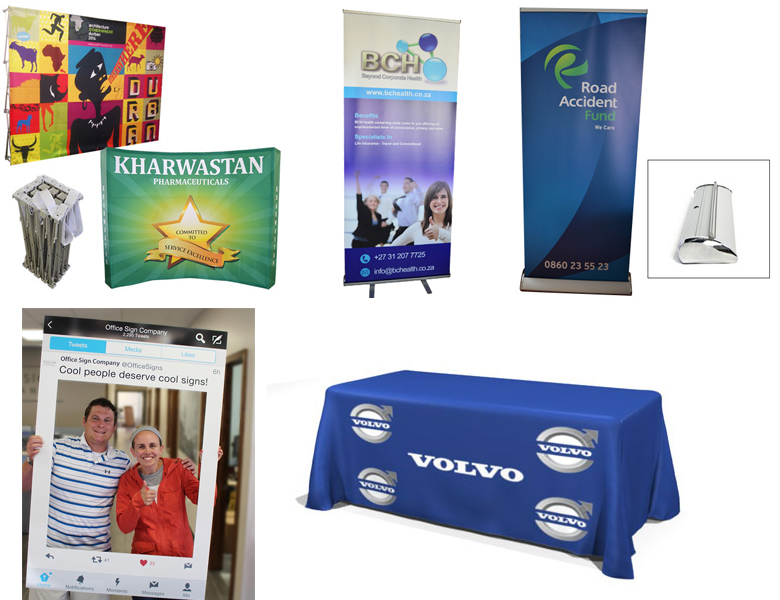 We also do the branded banners and tableclothes for awards functions. The Graphic banner wall and pull up banners are quite popular. The selfie frames have become increasingly popular at corporate events.